> Wargames>Guerres du XIXème siècle>Battles with the Gringos ! 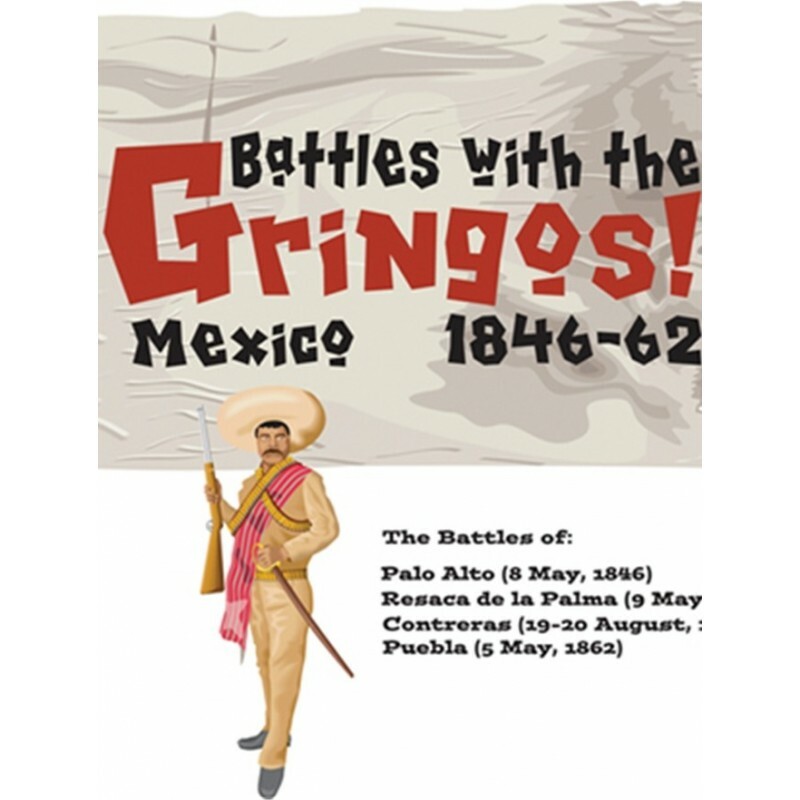 Battles with the Gringos ! une extension comprenant 4 nouveaux scénarios pour le jeu Gringo, avec les français de Napoléon III ! En savoir plus sur Battles with the Gringos ! For everyone who enjoyed all the battles in GRINGO, as well as any gamer who is looking for small, interesting, unusual and fast-playing battles of any era, here is a module that provides all of that. Battles with the Gringos fills in most of the blanks - the important battles we had to leave out - for our coverage of The Mexican War. And, in addition to providing the usual rules clarifications and updates, we have added a rule for using Skirmishers that will be usable in all games in the GBACW system. But it's the battles that make the game, and we have four half-map engagements that are each different, each with its own, unusual terrain, each with a set of problems facing both players. And each battle takes only a couple of hours, as well as being very playable solitaire. Palo Alto; May 8, 1846. The opening battle of the war, what looks to be a straightforward Napoleonic battle line special but ends up nothing of the sort, thanks to Ringgold's "flying artillery", grass fires, and a cast of most unusual characters. Resaca de la Palma; May 9, 1846. A numerically superior Mexican force in an extremely strong defensive position, mostly hidden from the incoming Americans. One of the most unusual battlefields in gaming, the scenario is given a variety of gaming possibilities as well as two-player hidden deployment. Contreras; August 20, 1847. An assumedly unassailable and unapproachable Mexican position is trumped by some great scouting work by a young Robert E. Lee, resulting in a Mexican rout. But it did not have to happen that way. Maybe Santa Anna will use his reserves to negate the American attack. Maybe it will turn out completely differently. Puebla; May 5, 1862. A venture into another way, for the battle that resulted in the well-known Mexican holiday, Cinco de Mayo. A strong division of veteran French soldiers, fighting for the Emperor Maximilian, attack a nicely-defended Mexican position right outside this important, of-fought-over city. Cavalry charges, assaults on forts, and a rather prescient use of trenches result in a nicely balanced game. 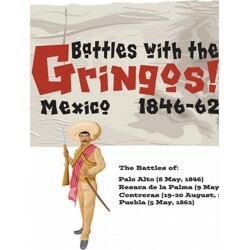 You will need GRINGO to play the battles herein.